Last Chance to Help Children's Miracle Networks by Shopping! If you need to make a stop at your local Walmart between now and the end of the month, I highly encourage you to do it before June 15th. Why? Because that is the last day to take part in the campaign to help raise $25 million for Children's Miracle Network! 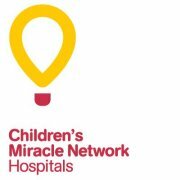 If you know a sick child who has been helped by a Children's Miracle Network Hospital, then you know how important this goal is. For more information on all that Walmart has done to help CMN achieve their goals, check out my previous post. You can also head directly to the Children's Miracle Network's Facebook page. "Like" them and let them know you support their mission to give kids the chance to grow up healthy and strong.